Bausch and Lomb Renu Multiplus effectively cleans, disinfects and eliminates protein deposits in any soft contact lenses. It has germ-killing action in as short as 4 hours. Use Nurofen to effectively give temporary relief from headache, dental pain, cold and flu symptoms, as well as muscular, arthritic and back pain and inflammation. A metered, non drowsy nasal spray that treats inflamed tissue to relieve swelling in the nose and make breathing easier. Wearing glasses may Help our eyesight but often frames can hide our beautiful eyes. So for times you want to show off your peepers wearing contact lenses are a great solutions. Contact lenses have become quite popular as they not only let us see, but they let us be seen. Wearing contact lenses comes a lot of responsibilities. They require cleaning procedure to protect our eyes from harmful invasions of infectious micro organisms. 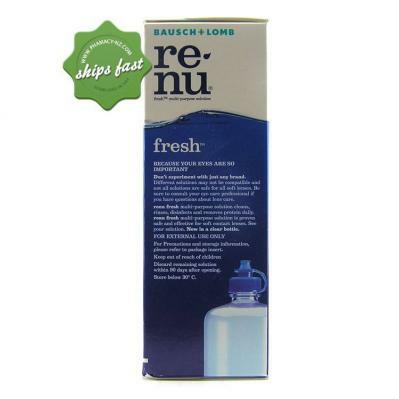 Bausch and Lomb Renu Multi-purpose Solution addresses this concern because it protects our eyes from getting irritated and infected. Through its triple action it cleanses, while disinfects and it also eliminates protein deposits to completely protect our eyes from bacterial or fungal invasions. What are the benefits of using Renu Multi Purpose Solution? It is an effective cleaner, disinfectant, and protein eliminator in one soaking. Bausch and Lomb has been in the market for many years making it a trusted brand in lens care. You can use it to safely store your lenses for up to 30 days. It Helps provide you with a fresh and clean pair of contact lenses everyday! What are the Active Ingredient? HYDRANATE, which is responsible for removing protein that accumulates during wearing. POLOXAMINE, which removes dirt and debris that gets deposited on your lenses giving you clearer vision and enhances hydration. Use it to rinse your contact lenses for a fresh pair of clean contact lenses everyday. 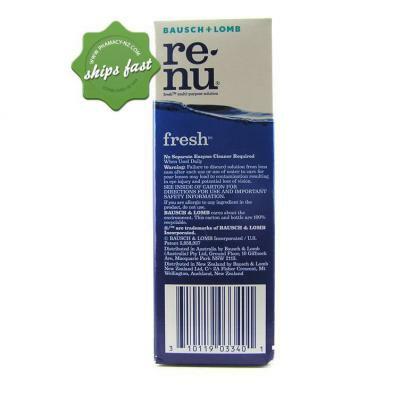 Just pour a generous amount of Renu No Rub MultiPlus on each side of the lens thoroughly. This will instantly remove dirt and debris that is collected by using your lenses everyday. Use it to disinfect by placing your contact lenses inside the lens cap. 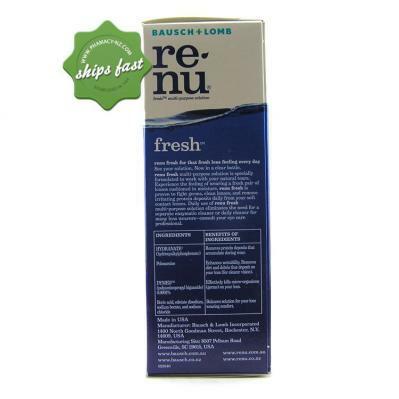 Fill the cap up with Renu MultiPlus No Rub Formula. It can also be used to store your contact lens for up to 30 days inside your lens cap using by covering it tightly to avoid contamination. Use it to remove protein deposits by rinsing and disinfecting your contact lenses. Do this on a regular basis to make sure that there are no protein build up is embedded on your contact lenses. This will protect your eyes from getting infections. Are there any Warnings and Precautions? It is not intended for use on heating disinfection. Do not use this product if you are allergic to any of the ingredients of this product. Keep it away from the reach and sight of children. Store it in a cool dry place away from direct sunlight. 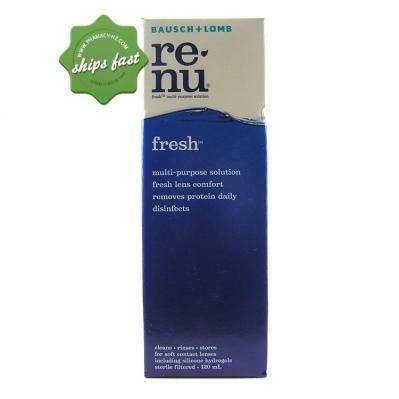 Save on petrol - Buy Bausch and Lomb Renu Multiplus online at a great price and have it shipped to your door fast!